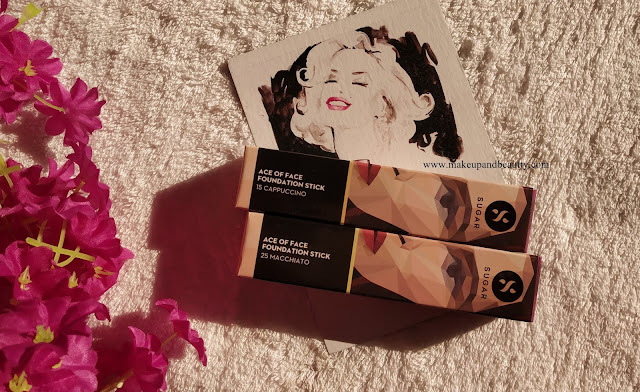 So today I am up with Sugar cosmetics ACE OF FACE FOUNDATION STICK extended range. Price:- Rs. 999/- for Size: 12 gm. 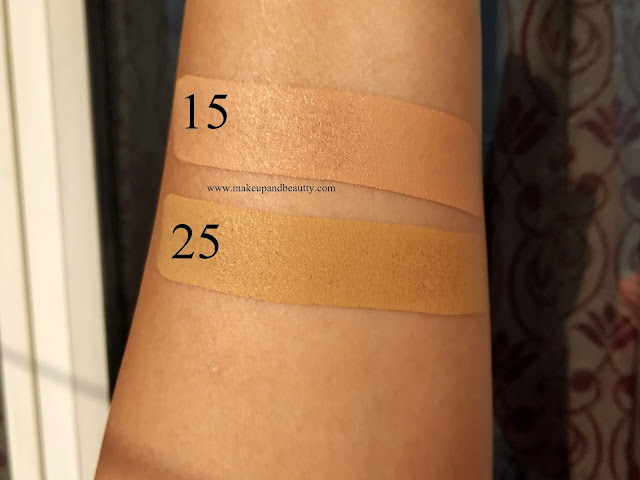 15 Cappuccino is a light shade with cool undertone. 25 Macchiato is a light-medium shade with olive undertone. 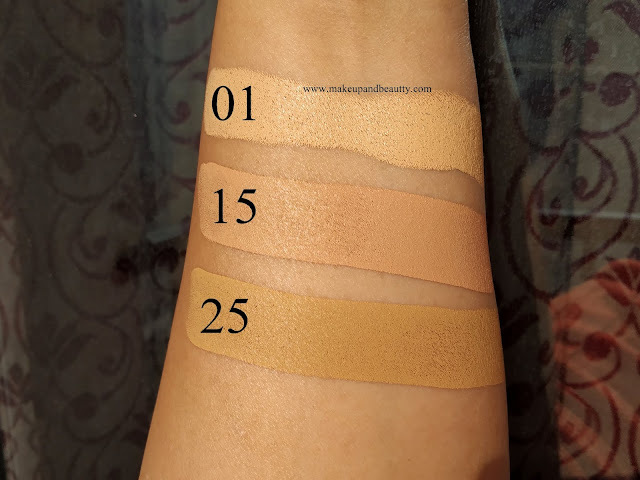 35 Frappe is a medium shade with neutral undertone. 45 Con Panna is a medium beige shade with golden undertone. 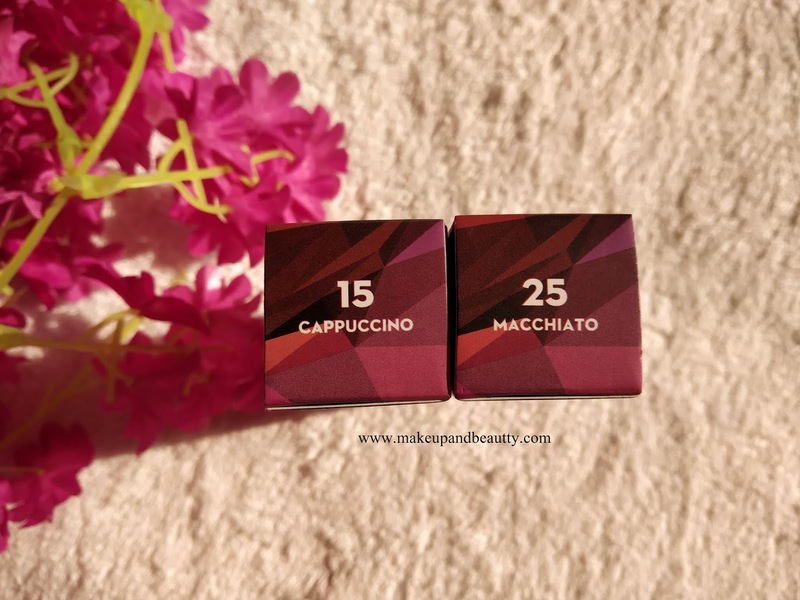 55 Americano is a medium-deep shade with warm undertone. Among all the 6 shades of the SUGAR Ace Of Face Foundation Stick, I got shade 15 & shade 25 from the brand to try out. 1. 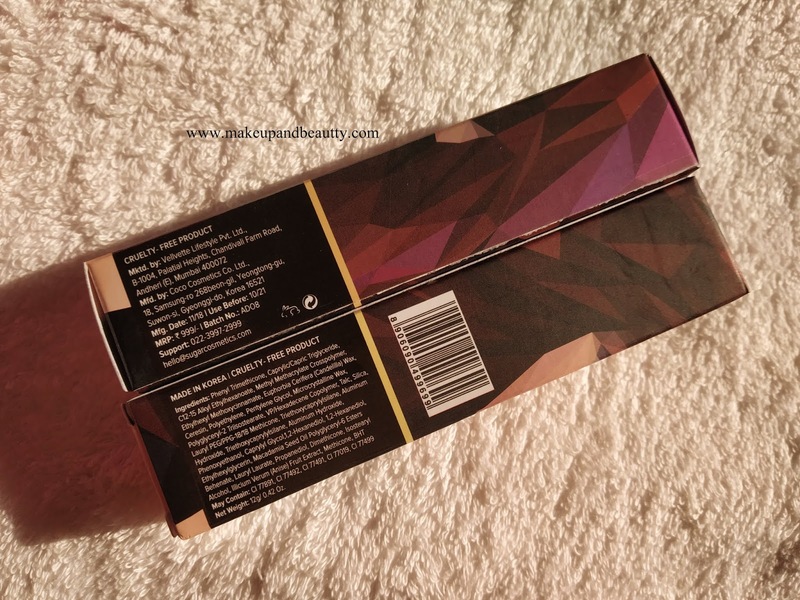 Highly pigmented (a little product goes long way). 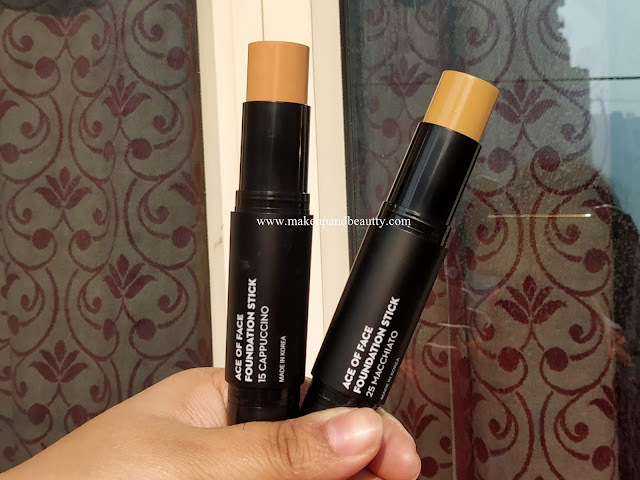 Sugar cosmetics ACE OF FACE FOUNDATION STICK comes in a stick like the packaging in which one side has the foundation stick whereas the other side has a dense blending brush. 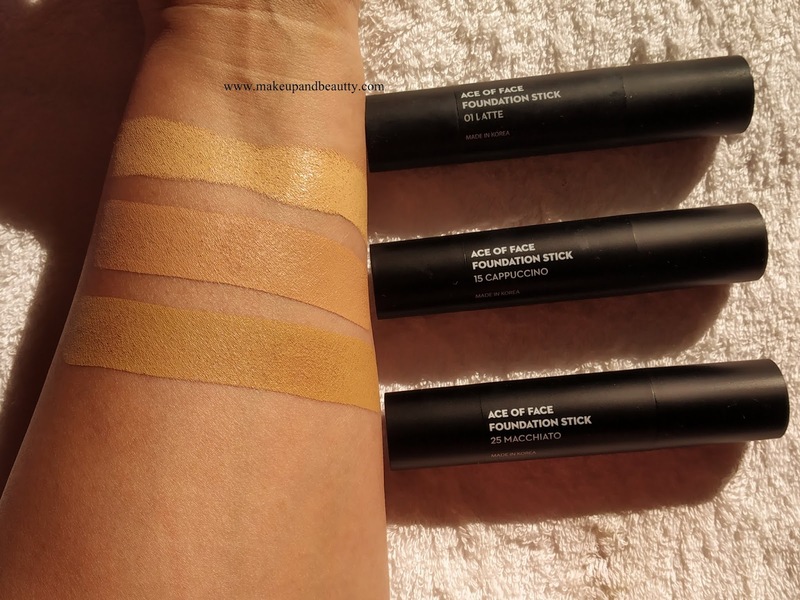 The stick foundation is thus perfect for traveling. 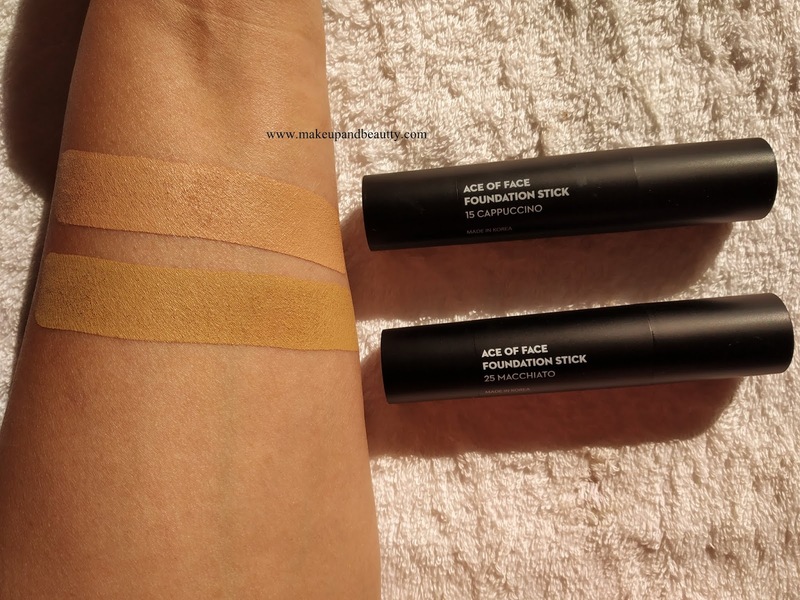 Sugar cosmetics ACE OF FACE FOUNDATION STICK is one of my favorite stick foundation for all time. The foundation is creamy in texture and so it is perfect for all type of skin tones. 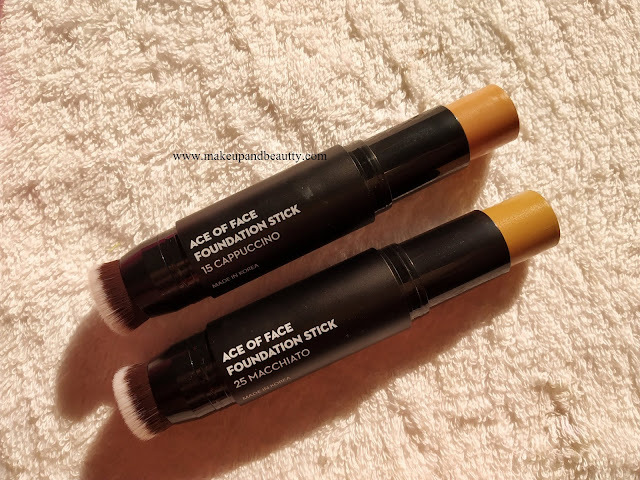 The foundation is very easy to blend, I use wet sponge most of the time to get the flawless look effortlessly. 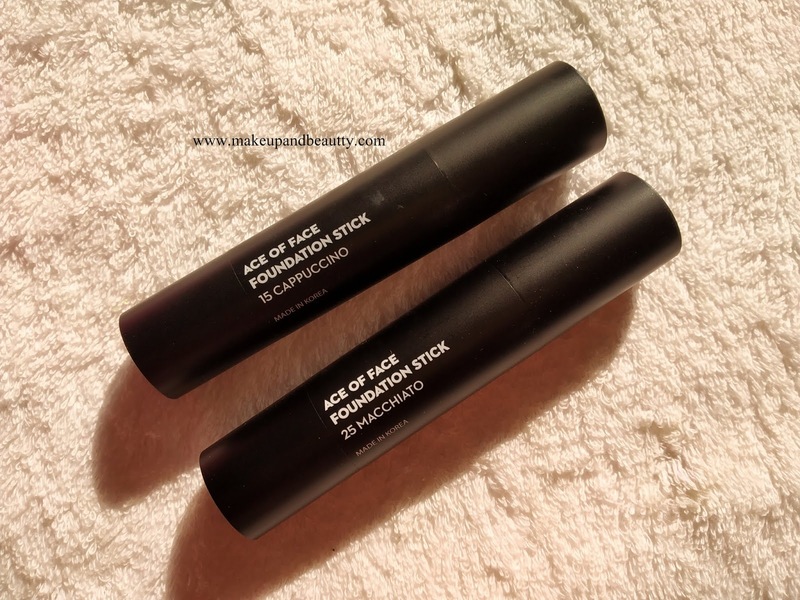 It gives full coverage (covered all my blemishes, pimple mark, and scar). 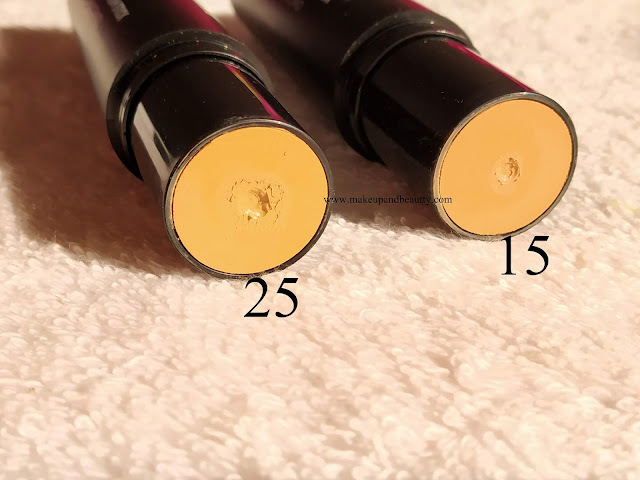 A little amount goes long way. It has a very light texture for which although it covers all my dark spots it feels so light on my skin that sometimes I forget that am wearing it. 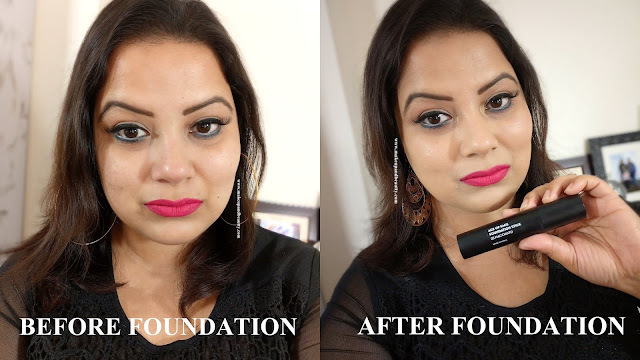 The foundation stays pretty 7-8 hours during summer and little more during winter of Delhi. Overall Sugar cosmetics ACE OF FACE FOUNDATION STICK although priced a bit high but every good thing comes with a price tag and so I think if it is little bit pricey still it worth buying.And so I would say that it is a must have stick foundation for people who are looking for a full coverage foundation for every weather. So that's all for today, see you in my next post.